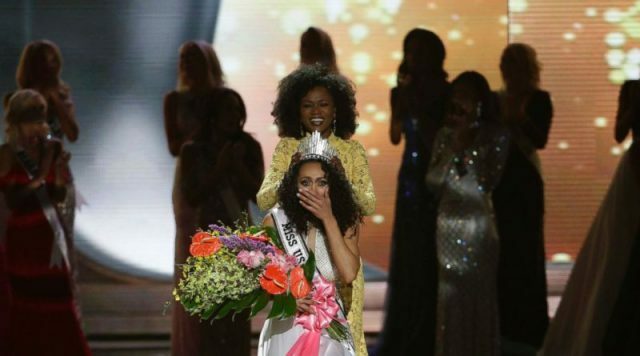 LAS VEGAS, Nevada — Miss District of Columbia Kara McCullough has been crowned Miss USA 2017. It’s a back-to-back victory for the United States capital after Deshauna Barber’s win last year. Kara McCullough is 25 years old and works for the U.S. Nuclear Regulatory Commission as a chemist. She was crowned by Miss USA 2016 and also Miss District of Columbia USA 2016 Deshauna Barber at the Mandalay Bay Convention Center. 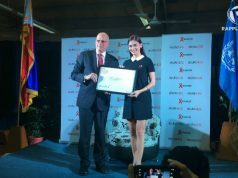 She will represent the United States at the Miss Universe 2017 pageant later this year. She bested 50 other contestants for the crown of Miss USA 2017, including first runner-up Chhavi Verg of New Jersery. Chhavi is of Indian descent and is currently a student at Rutgers University taking Marketing and Spanish. Placing second runner-up is Miss Minnesota Meridith Gould, a student of apparel retail merchandising at the University of Minnesota. The Miss USA 2017 pageant opened with a video package celebrating diversity and was followed by the opening number featuring a performance of a very symbolic song by Cirque du Soleil’s Michael Jackson ONE. “Black Or White” as the 51 lovely contestants make their grand entrance. And this has been a sign of what to expect on the finals night.True to the message of diversity, the contestants who made the cut include Bayleigh Dayton, the first black woman to ever be named Miss Missouri, and Miss New Jersey, Chhavi Verg, who is multilingual and Indian-American. Not to mention that four of the Top 5 contestants are women of color: Chhavi Verg (New Jersey), Whitney Wandland (Illinois), Megan Gordon (South Carolina), and the eventual winner Kára McCullough (District of Columbia). The Miss USA 2017 pageant was broadcast live by FOX and was presented by Julianne Hough, Terrence J, and Ashley Graham. It also featured performances by Brett Eldredge, Pitbull, and Cirque du Soleil. 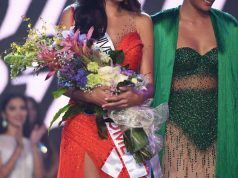 Next articleIs Philippines hosting Miss Universe 2017?